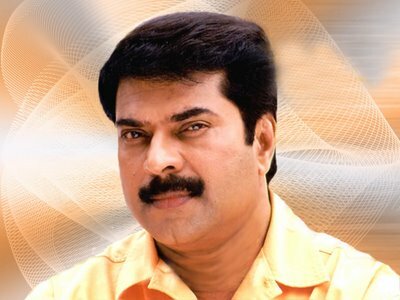 Thiruvananthapuram, Dec 28 : Malayalam superstar Mammootty pleased all his fans with as many as eight of his films releasing in 2009 but the actor says he was just doing his job. The eight films that hit the screens this year were "Love in Singapore", "Daddy Cool", "Eee Patanthil Bhootham", "Loud Speaker", "Kutty Shrank", "Pazhassi Raja", "Paleri Manickam" and "Chatambi Nadu". While the last three films are still running to packed houses across the state, "Kutty Shrank" was screened at the International Film Festival of India (IFFI) held recently in Goa and is expected to be released commercially soon. But the superstar was modest about his work in the year gone by. "The world has become one more year older. From my side, I will say that things went well and happiness need not be and cannot be measured about what has happened. I am doing a job and I will continue doing it in the same spirit as I have always done all these years," Mammootty told IANS. Besides his acting assignments, Mammootty launched his own production house called Play House, which will produce and distribute films.